It’s here! Comfest 2010 begins Friday. 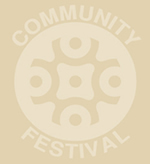 The annual Community Festival is in full swing this weekend with some of the best live local jazz musicians in the city. This is your chance to check out some of the best that Columbus has to offer in terms of jazz and of course many other styles of music. Without further ado, here is the “I Wish You Jazz” lineup for Comfest 2010. Happy Comfest!